With Washington, garrison 1 division, threatened by at least 2 Reb corps, roughly 8 to 10 divisions, the Confederates attck both the Eastern and Southern outer defence line. Eastern line. My command area. The Rebels approach from the east. The fences represent an abatis line. Virginians coming up from the South. 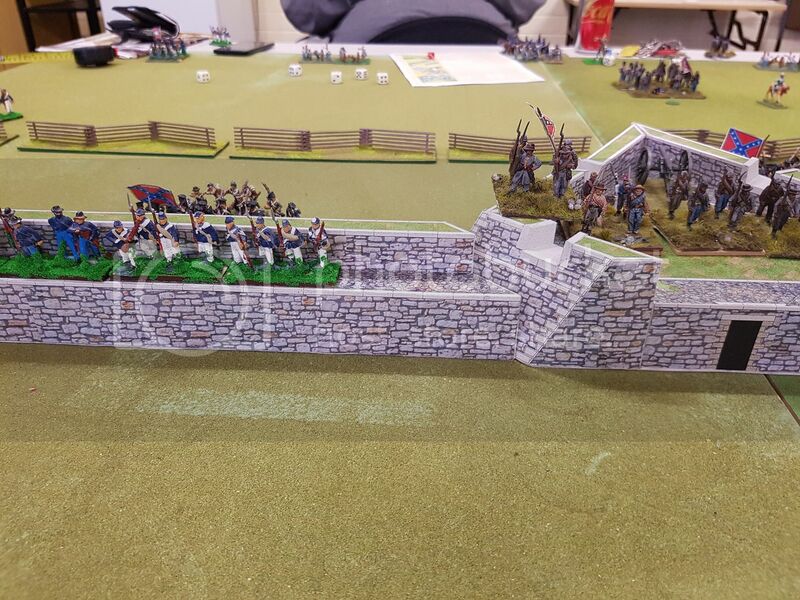 The rebels reach the obstacles with the limited artillery, a single battery to each front, and the rifle fire of a single brigade starting to take its toll. Rebel artillery fire took out the gun crews and forced one Federal unit back due to losses from their fire, ie failed their morale test. 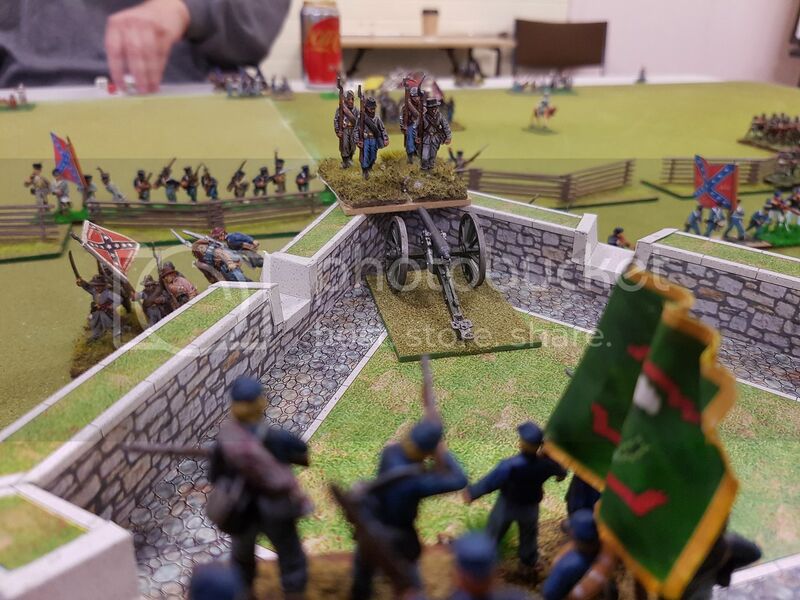 The Confederates make the wall and in the Eastern sector the Union falls back after a brief fight. 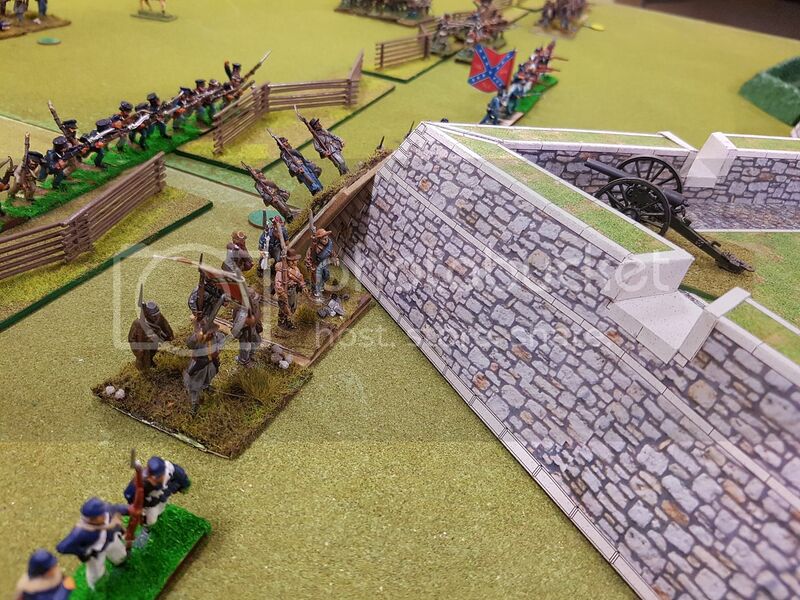 The Rebels push their advantage on the Union left. 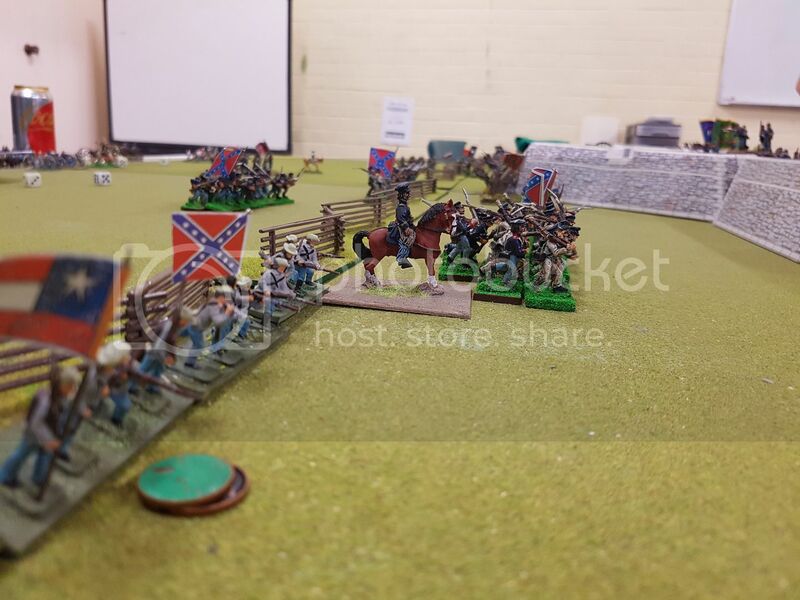 On the right the union rifle fire keeps the rebels at bay and reduces some units to half their strength. However the rebels are solidly in the Eastern lines and there are no reserves to throw them back. 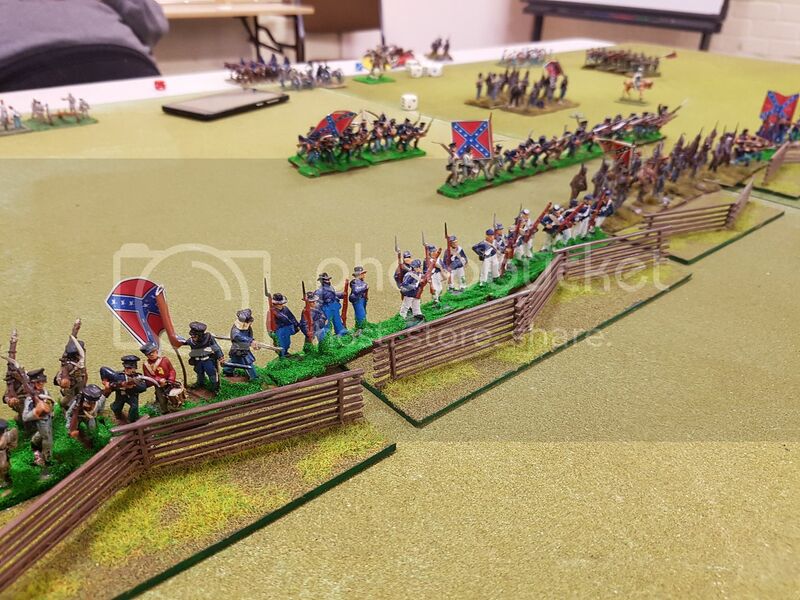 So the Union pulls back to the second line which causes the Southern defenders to do the same. 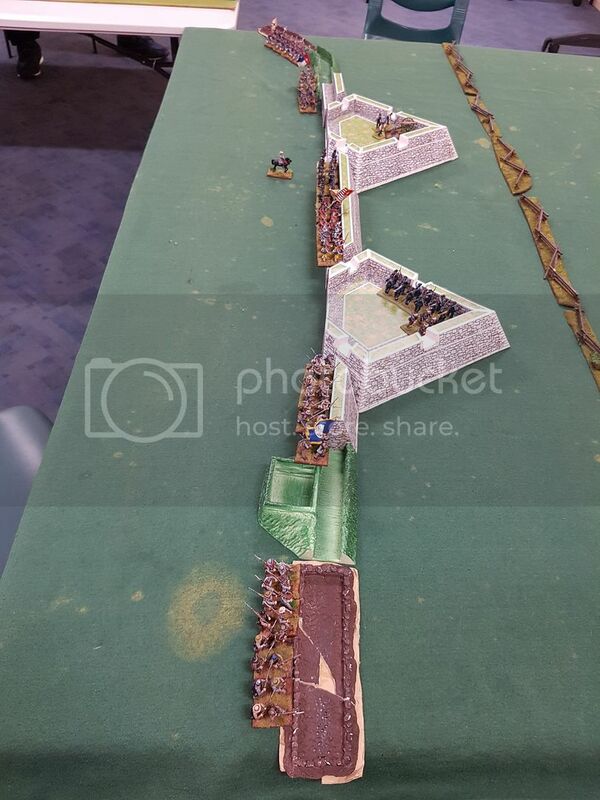 On the Southern front the defenders had some better luck, and a less aggressive opponent, with the defenders taking a heavy toll of their attackers. Still the Rebels managed to push inward. In the end the, just as the Union was about to be reinforced (ie arriving that turn) the Rebels declined to advance and began occupying the old Federal defence works. Thinking it better to gather its strength and await another Confederate assualt, the Feds withdrew. All lost stands/crew have a change of being regained. The guns now become the only rifled artillery the Rebels have. Next game to follow soon. Re: First Battle of Washington. 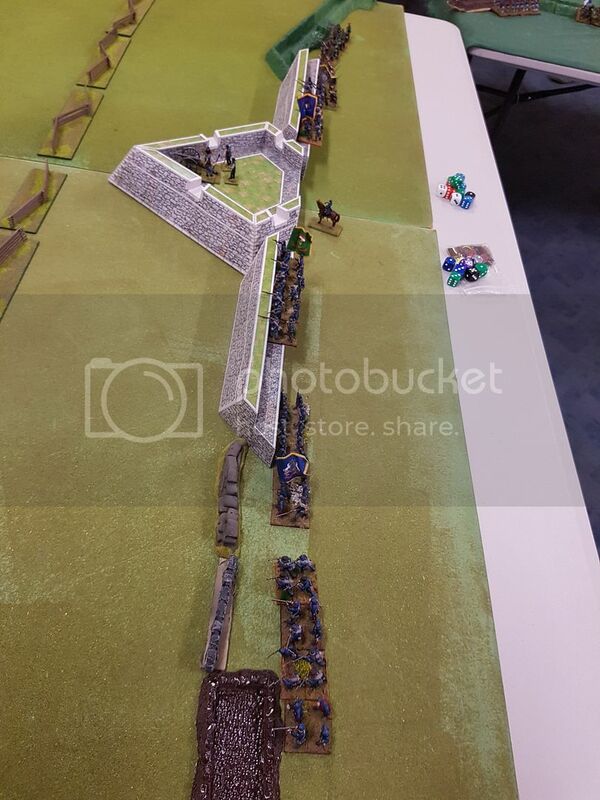 One defending division vs 10 attacking ones...wow even with entrenchments thats a tall order for the defenders! What rules did you use? 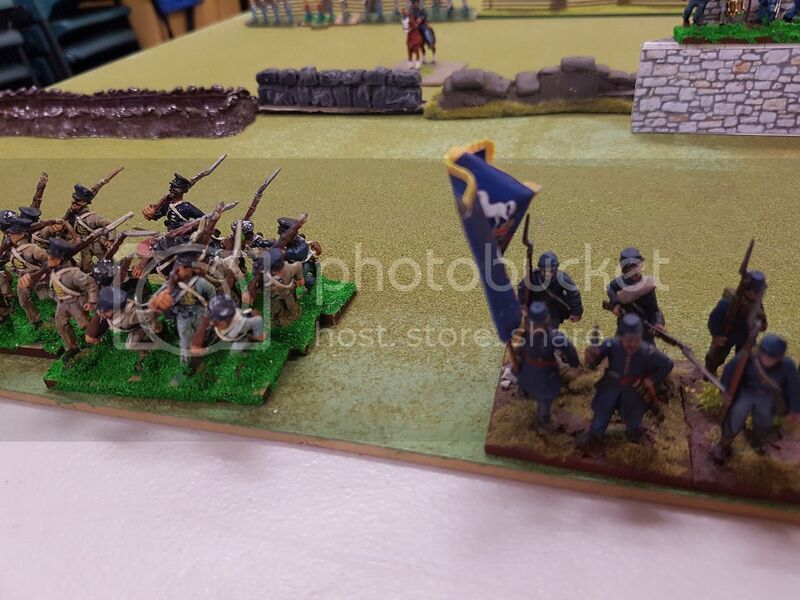 Good to see your lovely figures hitting the ground they look great...someone in your group still has some painting to do from the looks of it! Rules; "Rank and File". 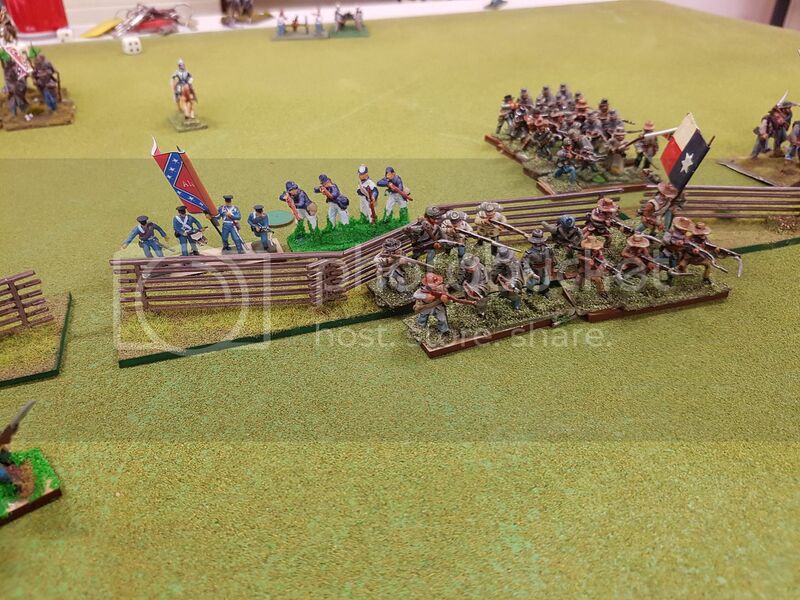 These have basically become the default black powder era rules. Painting: Yeah one of the guys does have a lot to do. He got a huge ribing for not even having standards for each unit. Hope to have a Union Coloured infantry regiment added soon. Yeah huge task to defend but they managed to hold off the worst of it and inflict some serious losses as the Rebel troops were their very best. Next meeting should see some real fun and games. Wow Tony good to see you guys are getting a lot of ACW games in. Been watching some of your painting threads. THEY CALL THAT LURKING.You must be amassing a good size Perry army by now. I am surprised the clubs using Rank and File rules. I Introduced Rick, graham & lou to those for Napoleonics and SYW when i was still in the club before moving down to Melbourne. Man didn't think they would stick being the club used to so love WRG style rules much to my changrin hee hee. Are you using the ACW supplement with them? I like them. Having not been able to access all my stuff since the move I can't find my rank and file rules. 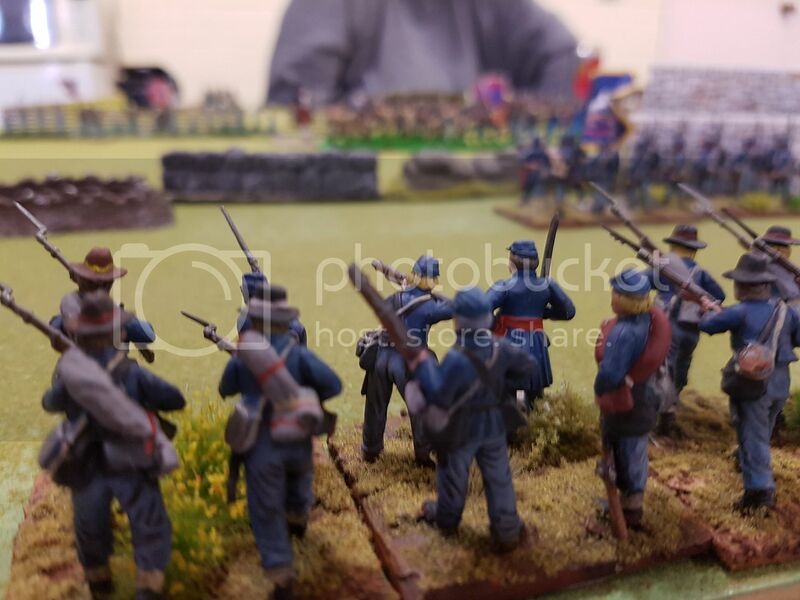 Though when my local club down here started ACW I offered up my Perrys to use and we set on Rank and File basing For our troops. 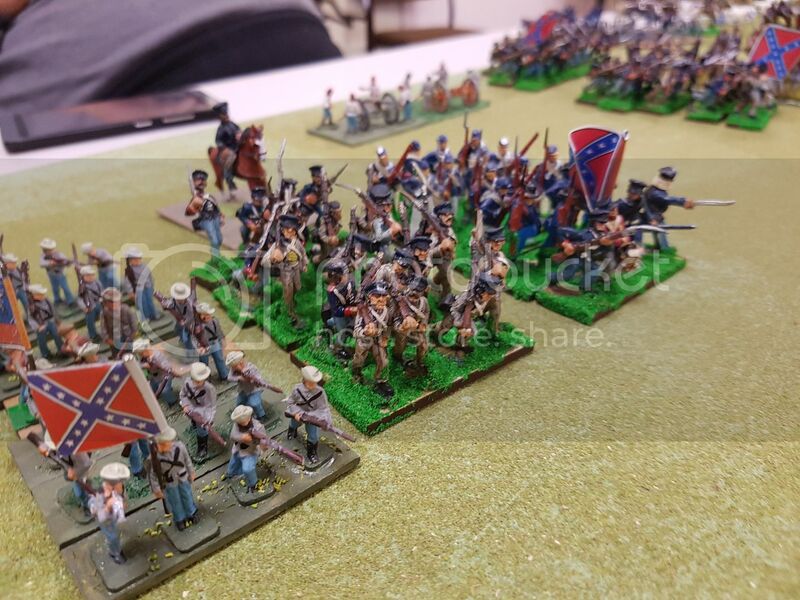 I since passed on my Perrys to a club member so I could go back to my vintage ACW figures ( you remember my passion for vintage figures..those S series ECW figures) so I quickly painted up Two armies of Dixon figures to use. But these aren't vintage enough for me so I painted some Hinchcliffe and acquired some minifigs so the Dixon being not as vintage will have to go for older figures hee hee. 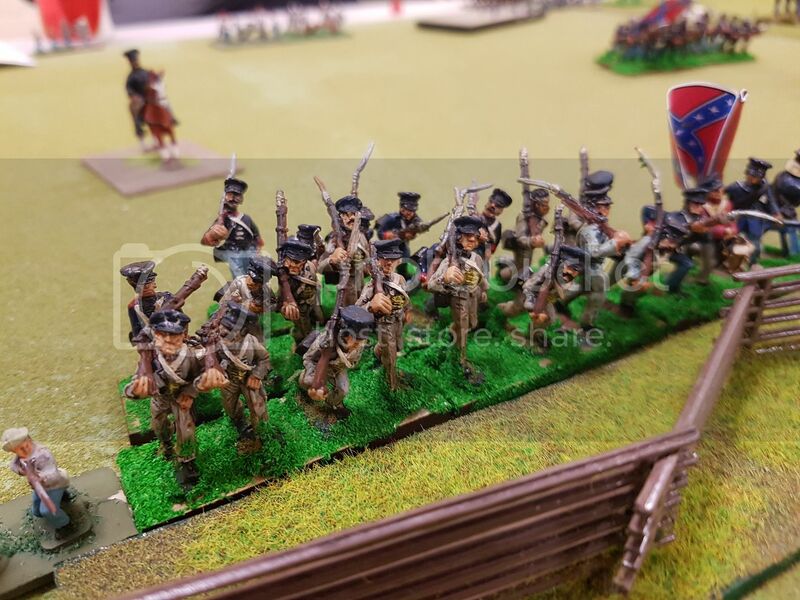 I would so love to get even older 25mm acw to use in our Longstreet campaign we are having in the Peninsula Praetorians Club i am part of down here. But i do have a heap of Mark Fenlon ACW figures Id like to do for a modern figure range that's a little different. 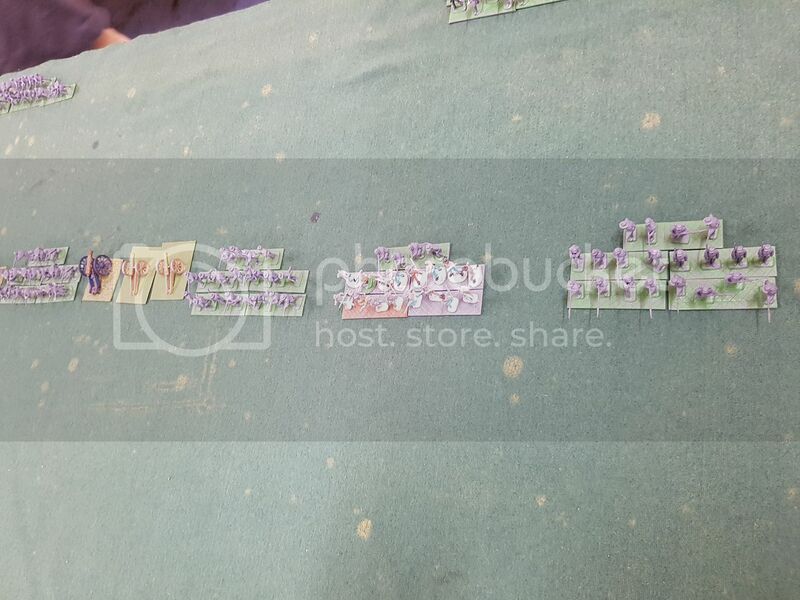 So mate it may mean a lot more ACW painting for me. Good to catch up with what you and club are doing on here. Haven't been able to get up to cancon or moab since leaving Sydney to catch up with anyone. 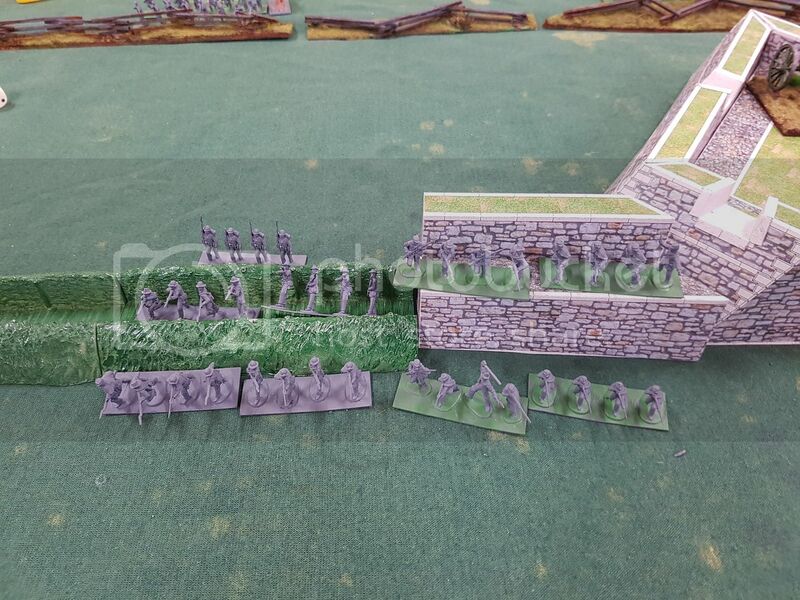 evadestruction wrote: I would so love to get even older 25mm acw to use in our Longstreet campaign we are having in the Peninsula Praetorians Club i am part of down here. But i do have a heap of Mark Fenlon ACW figures Id like to do for a modern figure range that's a little different. 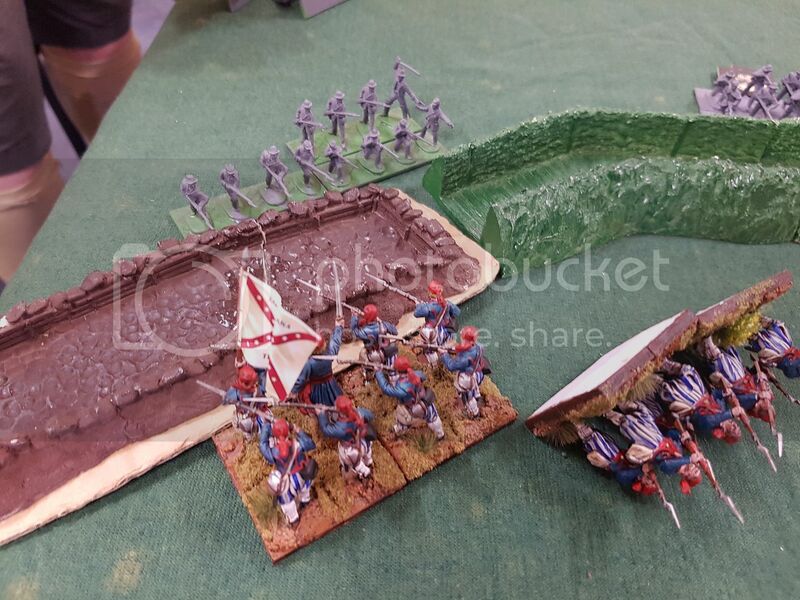 So mate it may mean a lot more ACW painting for me. You are in my part of the world then. Does Ron still play with the group? 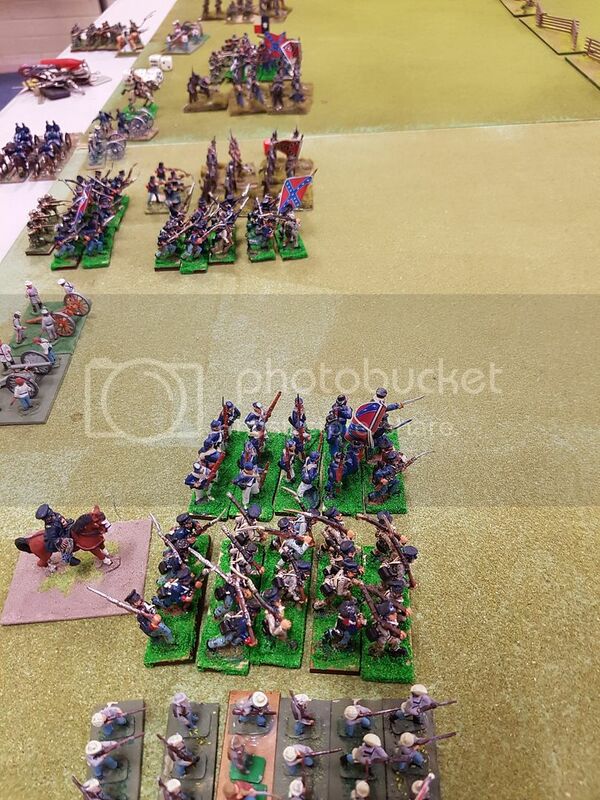 I wish I had a heap of Mark Fenlon ACW - consider me rather envious. Yes Ron does when work doesn't call him in. In fact he and I in between mass battles at the club get some Ancient games in which was great meeting Ron as I had someone just as excited about Ancients as myself. evadestruction wrote: Wow Tony good to see you guys are getting a lot of ACW games in. Been watching some of your painting threads. THEY CALL THAT LURKING.You must be amassing a good size Perry army by now. Gday Russell. 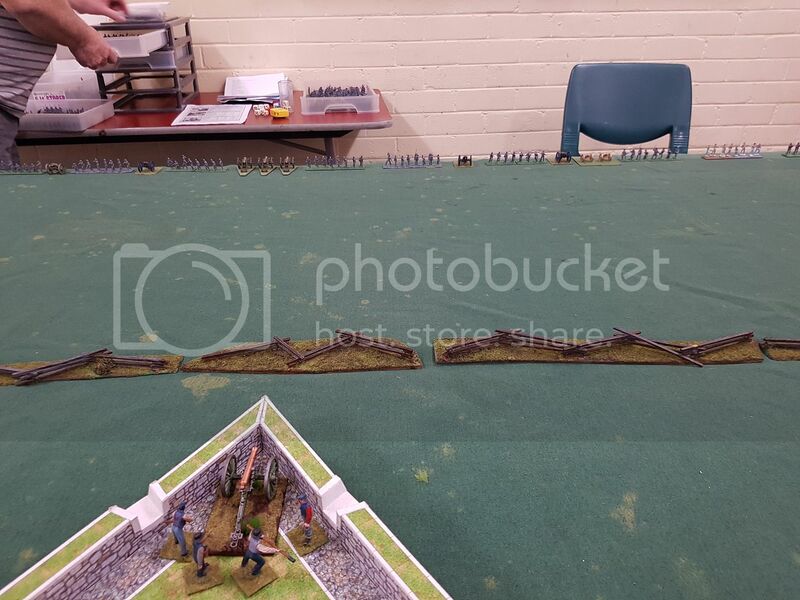 I have been seeing your face turn up on the Australian ACW gamers Facebook page. That is also lurking. 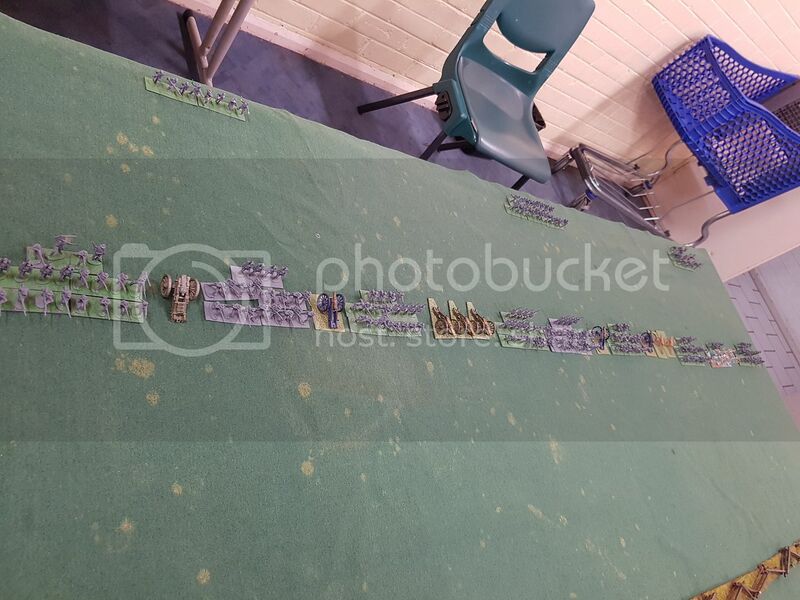 My armies stand at 30 infantry stands, 6 cav and 2 guns for the Rebs, 36 infantry stands, 6 Sharpshooter, 6 Cav and 2 guns for the Union. This will expand. I hope you like what you see in the painting threads. Yeah funny about the rule Like/Dislike. I think the others have finally woken up to the fact that the old WRG rules are in parts just down right odd and there are much better sets out there. Also some of the newer players will not be able to get the old rules. Also Rank and File plays much faster - stuff happens. 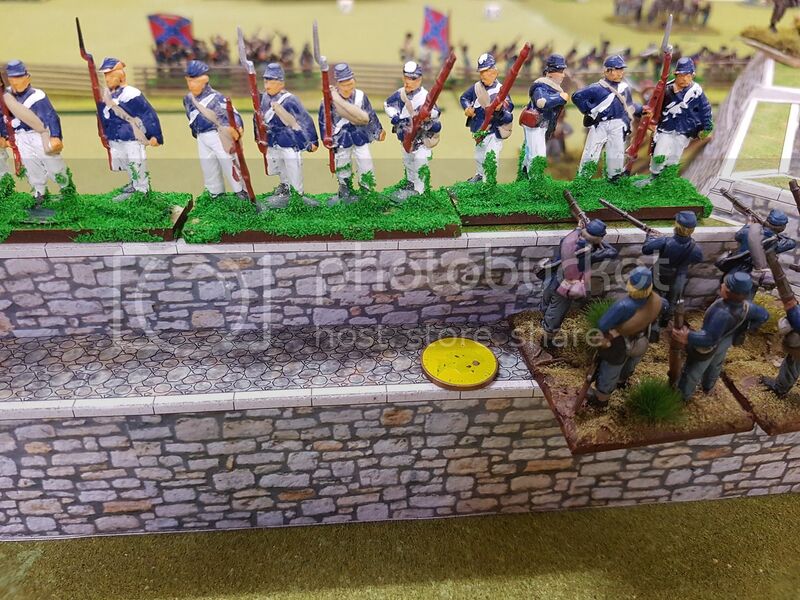 Some time (once the renos on the house have finished and I have the place back in order I would like to create an ACW scenario and run it under a number of different rule sets and compare how they play out. I am thinking "On to Richmond", "Longstreet", "Rank and File", "Pickets Charge" and "Across a Deadly Field" as I have recent copies of all. Just a thought at this stage. Good to hear from you Russell.Enjoy your games.